With just one week to go before the first legal weed Wednesday, the Nova Scotia Liquor Corporation (NSLC) has announced what online cannabis sales are going to look like. For consumers living far from one of the province’s 12 cannabis retail stores, those who don’t want to wait in long lineups, or those who aren’t comfortable purchasing pot in public, the online option is likely to be preferable. The NSLC holds the monopoly on recreational cannabis sales in Nova Scotia when cannabis is legal for purchase next Wednesday. In order to access its website to place cannabis orders, customers will need an access code. Those will be available at all NSLC stores provincewide beginning on Oct. 17. To be eligible for an online access code, customers must present a valid photo ID to help ensure no one under the age of 19 can access the website. The new website was designed to have a similar look and feel to the NSLC’s existing site for alcoholic beverage purchases. “The website itself in many ways is going to mirror the mynslc.com website that we currently have on the beverage alcohol side and it’s going to have Information on cannabis itself and it’s going to have information on our discovery guide,” NSLC spokeswoman Beverley Ware explained in an interview. 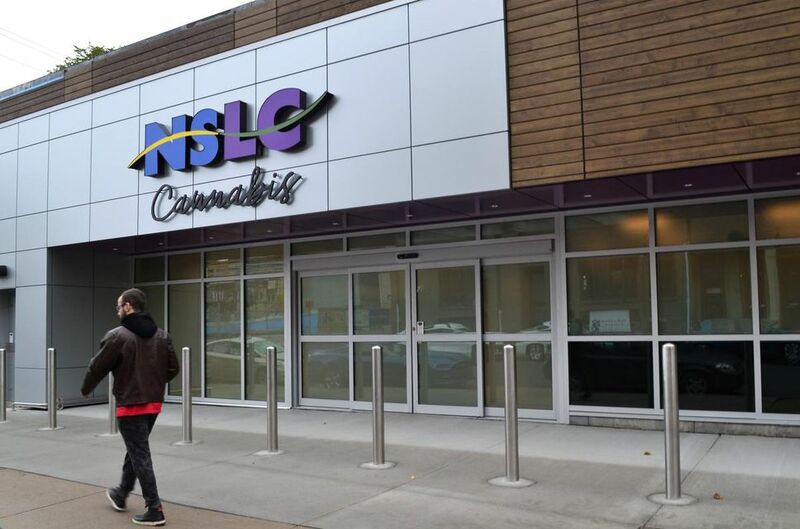 The NSLC expects lineups at its stores will be long, especially in the early days of its cannabis sales. The provincial Crown Corporation has said staff in its cannabis stores will spend a great deal of time educating consumers to ensure they get the best, most tailored experience. That, Ware said, is one reason many may turn to the web for their pot purchases. In addition to detailed information on available products, Ware said the website will include information about responsible consumption. Customers will be encouraged to “start low and go slow,” to consume cannabis and beverage alcohol separately, plan ahead to get home safely, and to always securely store their cannabis. But if you’re still nervous about hitting that online “purchase” button and want more information, there will be a phone number and an online chat window available with employees standing by to help and answer any questions. Ware said the phone and online chat window options for online purchases will operate during the same hours as NSLC stores. “Those who’ll be answering the phone (and online chatting) have undertaken the training that the employees in the cannabis stores have taken, so they’ll be able to find out from you what kind of experience you’ve had, whether you’re a new user, a more experienced user,” Ware explained. Online orders will be delivered via Canada Post with an anticipated wait time of two to three business days. “The stores are all ready to go and the website has undergone extensive testing so we should be live in the early morning hours of Oct. 17,” Ware said. There will be 78 different strains, or varieties, of cannabis for sale in stores and online. They’ll be sold in five formats: buds, seeds, pre-rolled joints, oil and gel caps. In Nova Scotia, cannabis is being sold by the NSLC in 12 stores in areas deemed population hubs. In the Halifax area, those include Portland St. in Dartmouth, Joseph Howe Dr. and Clyde St. in Halifax and the Downsview Plaza on Sackville Dr. in Lower Sackville. With the exception of the downtown Halifax Clyde St. store, retail cannabis will be sold in an NSLC “store within a store.” The Clyde St. location will be a stand-alone cannabis store and will carry about 300 products. The other 11 other cannabis stores will each carry about 150 products.